It's pretty much jubilation and joy in Freetown today with the victory of Sierra Leone's favourite brother sliding in for his second term. 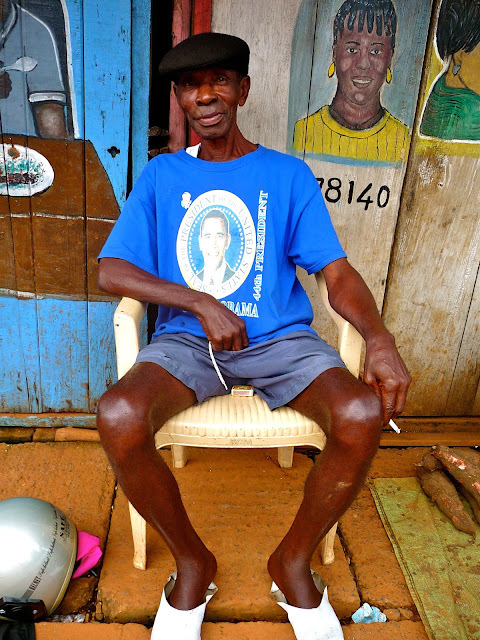 Obama fan Frederick looks relaxed and casual in his Obama shirt which he has had since 2008. "I saw it in my cupboard this morning and thought, dang, today would be a good day to revive that old t-shirt". I agree Fred.